What better time than the month of January to embrace that we are all growing in knowledge and love of Christ? 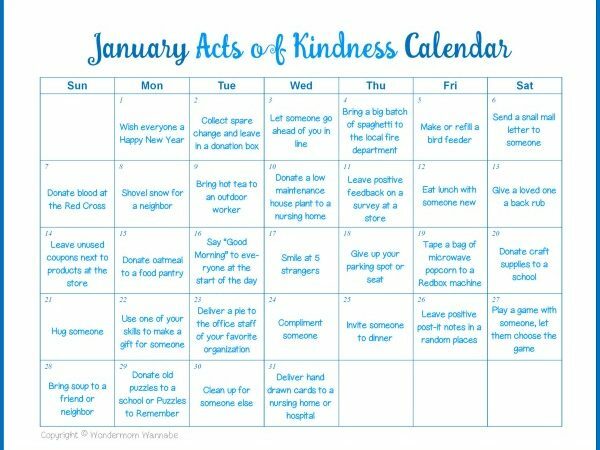 Kindness Calendar: Download and print this calendar and practice ways to be kind in January 2018. Sybil MacBeth, a noted Episcopal author, offers several templates you may print at home. Let each family member choose one! Use colored markers and name one thing for which they are thankful each day. Doodle or color around it.